This output is a 143,000 word business, technical, design and operational history of Det Forenede Dampskibs-Selskab (DFDS), one of the world’s oldest commercial shipping companies which is 150 years old in 2016. The publisher is Polyteknisk Laeranstalts Forlag, the publishing arm of the Technical University of Denmark (DTU), under whose Nautilus Forlag imprint the book is marketed. Since its establishment, DFDS has made a very substantial contribution to the economy and culture of Denmark and of Northern Europe. It carried Danish agricultural exports to the UK, business and leisure travellers across a wide network of routes, and was Denmark’s pre-eminent liner operator from the latter nineteenth century until the 1960s. At that time, its route network spanned from the Mediterranean via the UK and Scandinavia to the Americas. 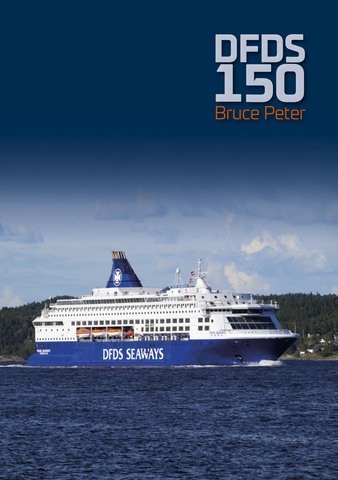 In the 1960s, DFDS was a pioneer of roll-on, roll-off shipping methods, bringing far greater efficiency to short-sea shipping and, in the early-1970s, it was among the first shipping companies to develop shore-based logistics operations with large fleets of trucks and associated infrastructure.